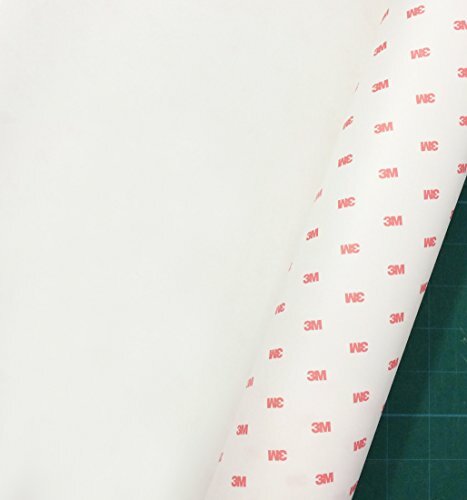 3M Scotchgard Series film is the most widely known Paint Protection Film and Clear Bra used by dealers, tint shops, and car enthusiasts for good reason. This premium film protects against rock chips, scratches, UV damage & more. The tough, durable, invisible, and maintenance-free urethane film uses the most advanced technology to protect the finish on your vehicle to keep it looking newer longer. We use a state of the art, laser guided digital cutter to ensure each piece fits with 100% accuracy. The kit will come with pieces to cover the bumper, hood (partial), fenders (partial), headlights and mirrors. These front facing areas are most prone to damage from oncoming debris during day to day driving. An application squeegee, installation manual, and door edge guards will also be included. Our production team ensures every order is professional packaged and shipped in a hard protective tube. Each kit is backed by a 5 year warranty against premature damage not caused by normal wear and tear. You can rest easy knowing your car is protected by a company who stands behind their product. This is our Deluxe Pre-Cut Paint Protection Clear Bra kit made from Genuine 3M Scotchgard Paint Protection Film and Backed by our 5 Year Warranty. Deluxe Kit Includes: Hood (Partial), Fenders (Partial), Bumper, Headlights, and Mirrors. Applicator Squeegee, Installation Manual, Warranty Documents and Door Edge Guards also included free of charge. FREE Priority Shipping within the US. Receive your order within 3-5 business days.